Japanese distribution Toho has released the first trailer for its upcoming cg animation film titled Dragon Quest: Your Story, in theaters next August. The film is based on the popular role-playing videogame Dragon Quest, on the episode Dragon Quest V: Hand of the Heavenly Bride, produced by Enix for Super Nes on 1992 and re-released for PS2 and Nintendo DS in 2008. Characters and monsters for the games were designed by Akira Toriyama (Dragon Ball's father). Dragon Quest: Your Story is written and directed by Takashi Yamazaki (Stand by Me Doraemon), with co-direction by Ryuichi Yagi and Makoto Hanafusa, and soundtrack created by Koichi Sugiyama, the veteran autor for most games in the Dragon Quest series. 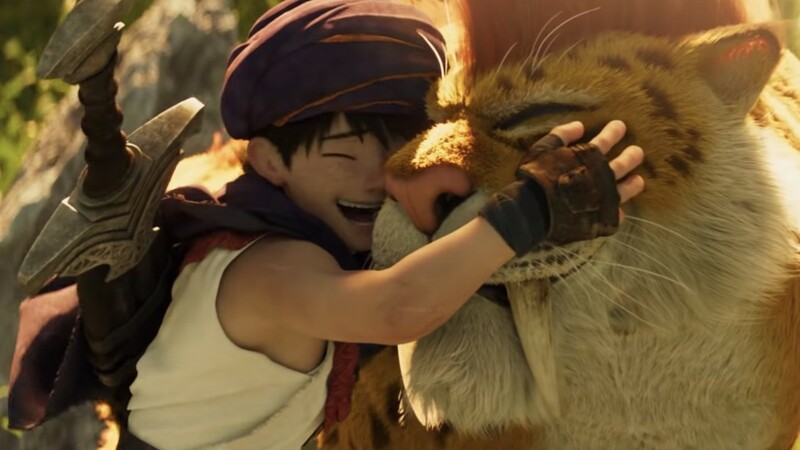 The connection with the original titles is guaranteed by the direct supervision of Square Enix, with the story that follows the main character of the series, Ryuka, in a period of 30 years, from his birth to when he marries and has a family of his own.